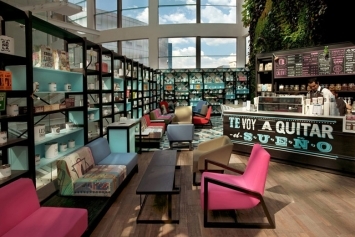 Coffee shops are the sorts of businesses that thrive on an eclectic image, and the new Cielito Querido Cafe branding acts as an effective example of this. 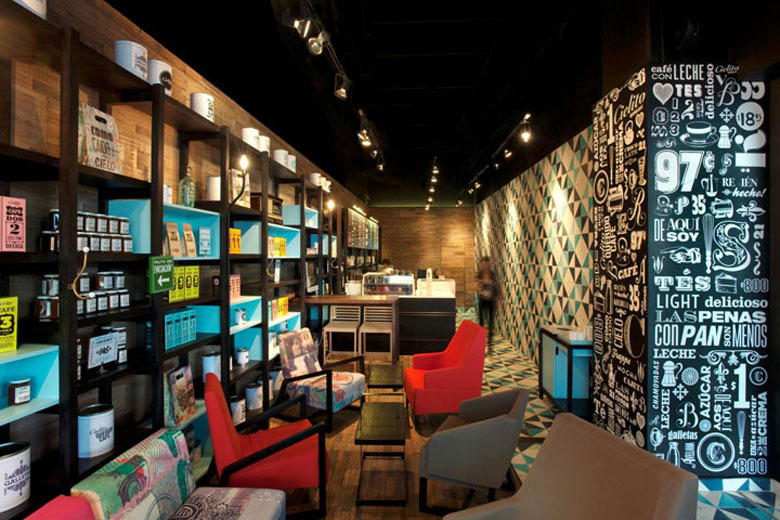 Designed by Esrawe, this niche Mexican venue has been overhauled with fresh coffee cups, snack packaging and interior design.The beauty of this particular mocha mecca is the intentional establishment of an inconsistent identity. 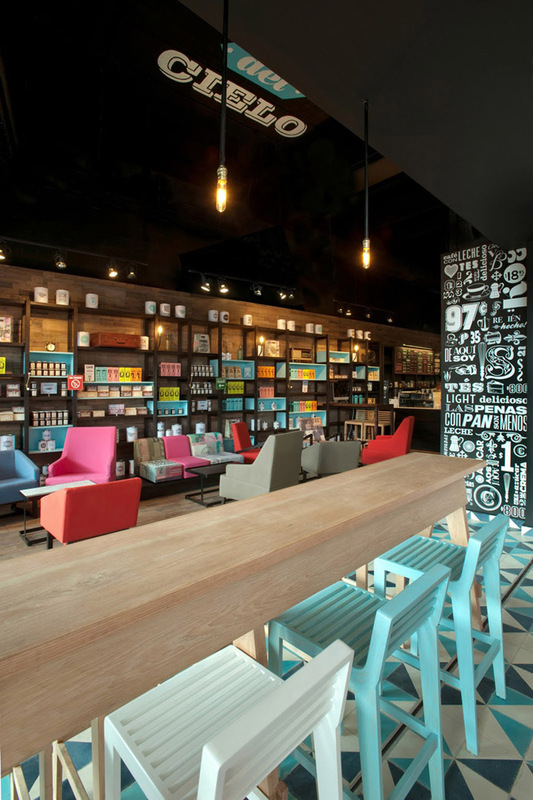 The name of the place is srawled across the wall in a plain bold font, which differs greatly from the typeface chosen to label the paper cups and treat boxes. 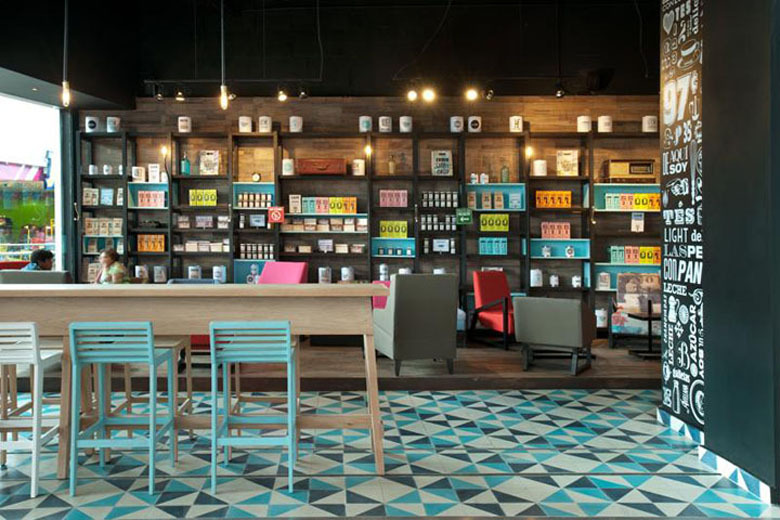 There is little uniformity in layout and color amidst even the paper products, so even associating such goods with the space they came out of could be a challenge. 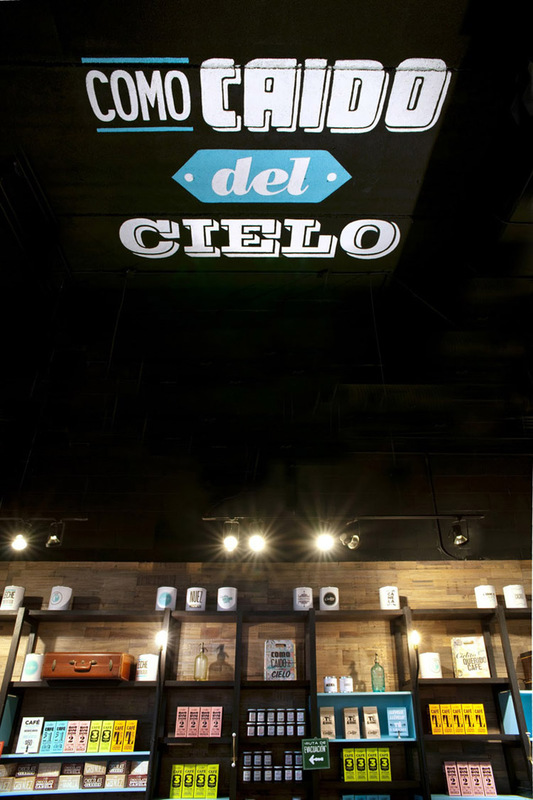 Yet all things considered, the new Cielito Querido Cafe branding strikes a handsome harmony in its visual havoc.